@ohsummit #ohsummit – Harris Kyriakou, Steven Englehardt and Jeffrey V. Nickerson. Traces of Innovation in Thingiverse « Adafruit Industries – Makers, hackers, artists, designers and engineers! Innovation inside companies is difficult to see. But an emerging online community of inventors who publicly post 3D CAD drawings of their work provide a way to observe – and perhaps amplify – innovation. 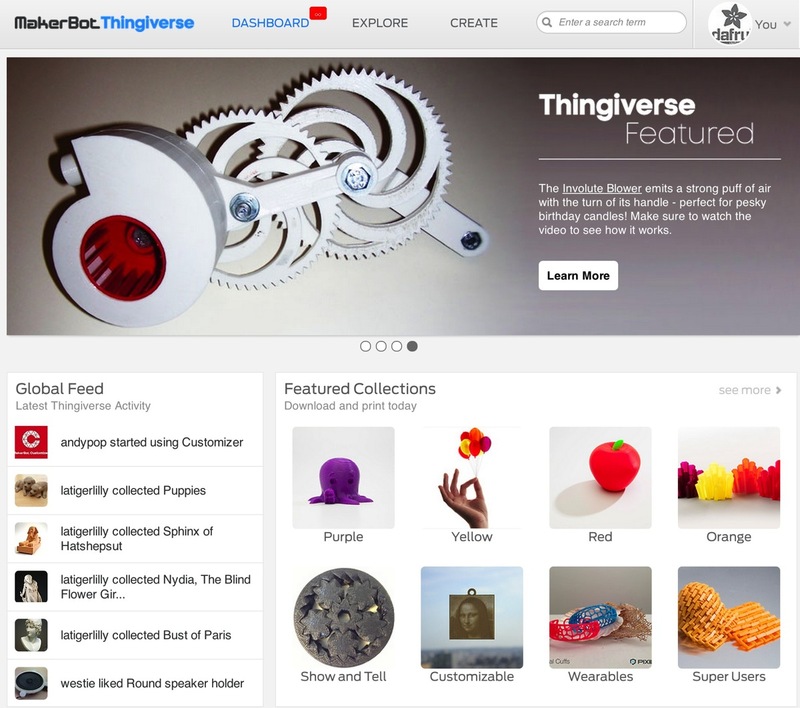 In this paper we analyze the network structure of Thingiverse, a website oriented toward 3D printing. This form of printing blurs the line between creating information and manufacturing objects: drawings can be sent to devices that build 3D objects out of many materials, including resin, ceramics, and metal . 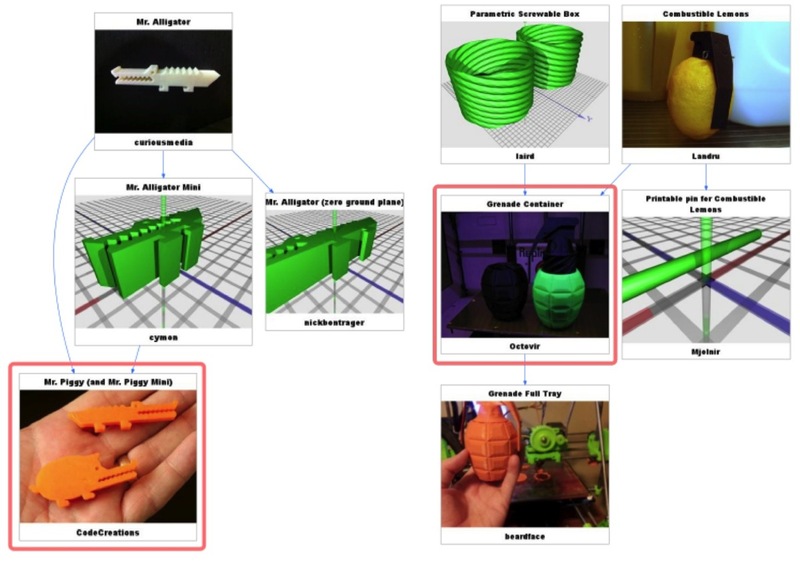 As an exploratory study, we analyzed the structure of Thingiverse links. Our results suggest that analysis of remix network structure may provide ways of tracing innovation processes and detecting the emergence of new ideas, combination of disparate ideas.